One moment can alter the course of your life. Ken Swift is out hurting people for cash to pay his way through college when he lays eyes on Jimi Lee. He playfully claims to be her boyfriend on the first chance meeting but the intention is a one-night stand. He has college to finish and Jimi Lee is heading for Harvard after a gap year in native land. Neither have time for a committed relationship. But their sexual chemistry is too strong. When Jimi Lee becomes pregnant, their different worlds become forever entwined leading to a cultural clash, passion, infidelity and raw emotion. This is what a prequel looks like! Before We Were Wicked is a full introduction to Ken Swift. No guesswork; this character is fleshed out well. It begins in the 90s when pagers were a means of communication and internet chat rooms were a thing. It flows right into the first page of Bad Men and Wicked Women which was released exactly one year ago. Eric Jerome Dickey is known for writing expertly from a woman's point of view. But this prequel is a reminder that the author can write just as well in a male's voice. In fact, it gave me insight into a man's inner thoughts while in a relationship. 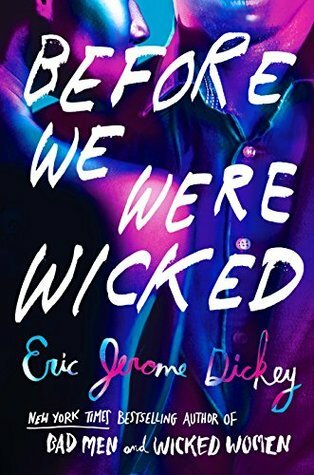 For that alone, Before We Were Wicked is worth reading. Bookhearts, you have exactly one week to gather your coins. Reserve a weekend to read this star-crossed love lust novel because you will not put it down.